For over 20 years, TC's Blinds & Tile Services has been installing tile, marble, granite and stone in residential homes. They have laid tile on bathroom floors, entryways, patios, and kitchens. Additionally, they can repair, replace or install most any type of tile on your countertop, backsplash and shower stall. Experience – Since 1999, TC's Blinds & Tile Services has helped many homeowners with tile installation. Their professional staff has the skills, expertise and tools required to perform the job to your satisfaction. They are skilled at installing ceramic, porcelain, stone, glass and Saltillo tile. They have extensive expertise in repairing broken or damaged tiles and grout. 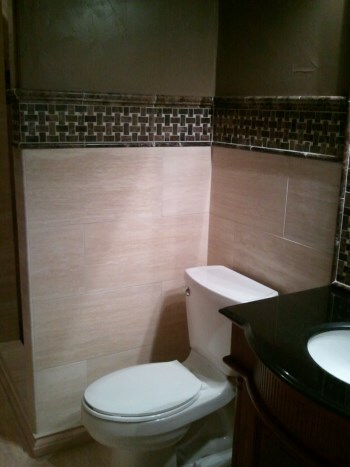 TC's Blinds & Tile Services is a leading provider of tile installation and goes the extra mile. As a popular floor material, there is a large assortment of tiles to cater to just about any style or taste. When properly installed, tile can add significant value to your home, along with easy maintenance. TC's Blinds & Tile Services's professional staff has the experience to perform the job correctly, and within a timely manner. Reasonably Priced – TC's Blinds & Tile Services provides premium tile installation services at reasonable prices. They stand behind everything they install, and offer a full satisfaction guarantee. Call TC's Blinds & Tile Services at (817) 381-0061 for a free quote, to see exactly how much you can save.